I can remember back to sitting on the floor in my living room in-front of our small (at that time seemed so big, and well now antique) tube TV, about 5 years old and full of wonder watching The Lion King. I’ll never forget what my little 5 year old self felt like while trying so hard to fight back all my tears every time the stampede scene started to come on, as if it was the first tragedy to take place in my young life. Yet it was still the one movie that my loving family put up with watching over, and over, and over again. Of course being that age I was too young to understand the different lessons and aspects the story entailed, but I still fell in love with it. I don’t know if was my love for seeing all the animated wild life animals, maybe the soft warm colors of red, orange and yellow or even just the soothing Elton John soundtrack. 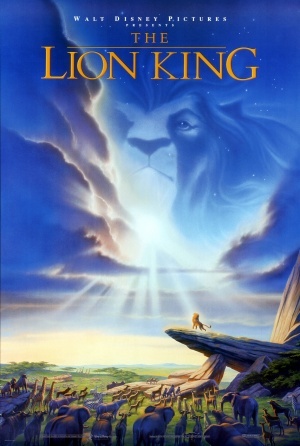 Whatever it was, The Lion King was the one movie I continued to religiously watch throughout my youth. As I got older and older, my craze for the movie drifted away and I forgot the effect that it once had on me. Later on when I was in high school, my theatre teacher had our company read Shakespeare’s Hamlet. A deep narrative of a young man seeking revenge for his father’s death. As we were reading, my mind unexpectedly recalled the resemblance between the script and the movie the I fell in love with as a young child. I remember going home only to pop in the same movie that I had once watched close to a million times. -Hakuna Matata is one of the most important lessons, not worry about the things you can’t change. -Lion King also showed me we are more powerful than we know, that you can conquer amazing things if you realize how great you truly are. -The past may really hurt but it’s your choice to turn away from it, or learn from the experiences. Lion King will always be a movie I will continue to re-watch, to remember the good memories of watching it as a child and in tough times, to remind me of these lessons I still carry with me today. Pick up a copy at your local Bookmans today and enjoy some catchy songs, beautiful animation and that sweet voice of Johnathan Taylor Thomas.